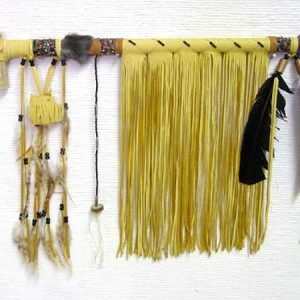 Each beautifully crafted rawhide-wrapped pipe has a genuine elk or deer antler bowl & mouthpiece. 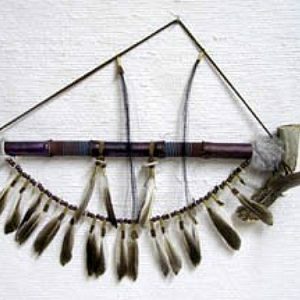 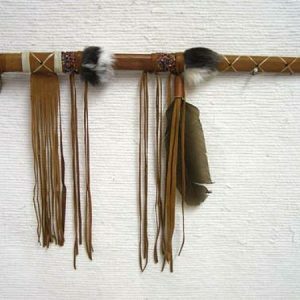 The pipes are fully-functional & decorated with natural feathers; horsehair and glass beads are wrapped around the shaft, and a drape of beads, bone and feathers finish the piece. 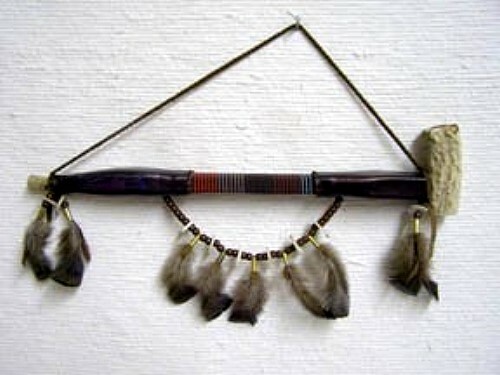 Each pipe measures 18 inches & was created by Navajo artist Larry Cly, brother to popular artist Leo Holiday. 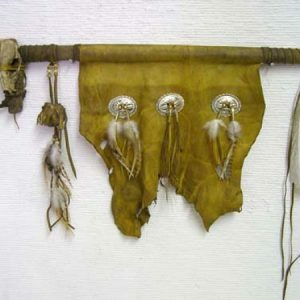 A Certificate of Authenticity is included with this item..